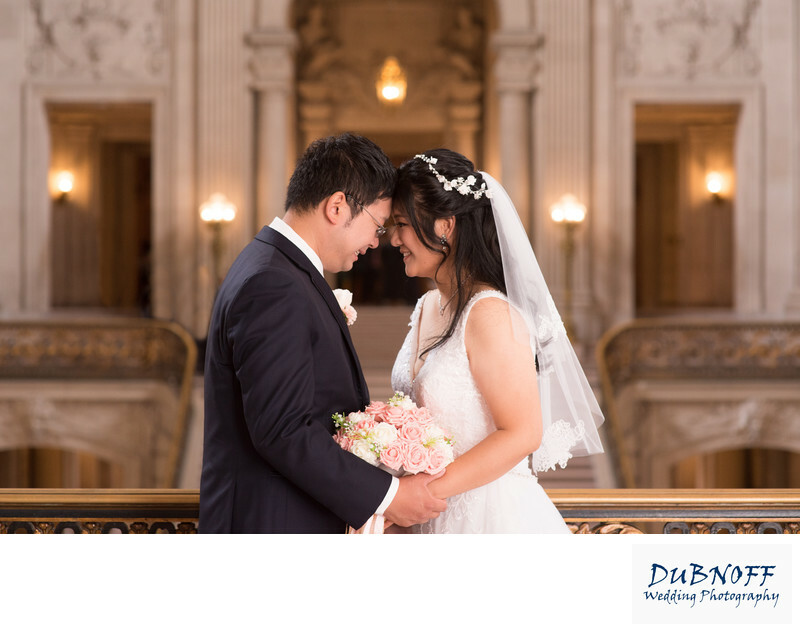 One of the best photography locations at San Francisco city hall, the Mayors Balcony has great views of the entire building. From the Gold railing you can see the Rotunda, the Grand Staircase and both 4th floor galleries. So of course this means that photos taken from this location have the option for all of those areas for backgrounds. The only issue can be lighting. Without some sort of professional lighting, it can be difficult to get a good wedding photo from here. In this particular wedding photography we used the Rotunda as the background and the lights made it nice.